It’s a classic spathetti carbonara recipe that easy to fall in love with. Try to serve in your resto menu, and prepare to get re-order, again and again. 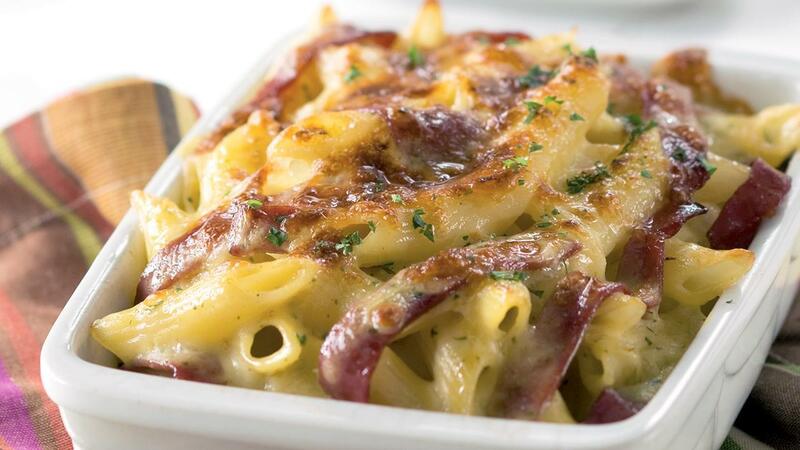 Mix 115g KNORR Carbonara Sauce Mix with 600ml of water and parmesan cheese in a sauce pan. Stir well then heat while continuing to stir until the sauce thickens, then set aside. Saute onion and garlic, put the smoked beef, penne, basil, parsley and season with KNORR Beef Powder, placed inside the heat resistant dish. Topping with carbonara sauce and mozarella cheese, then baked to fire up until the mozzarella melts and brown and serve.